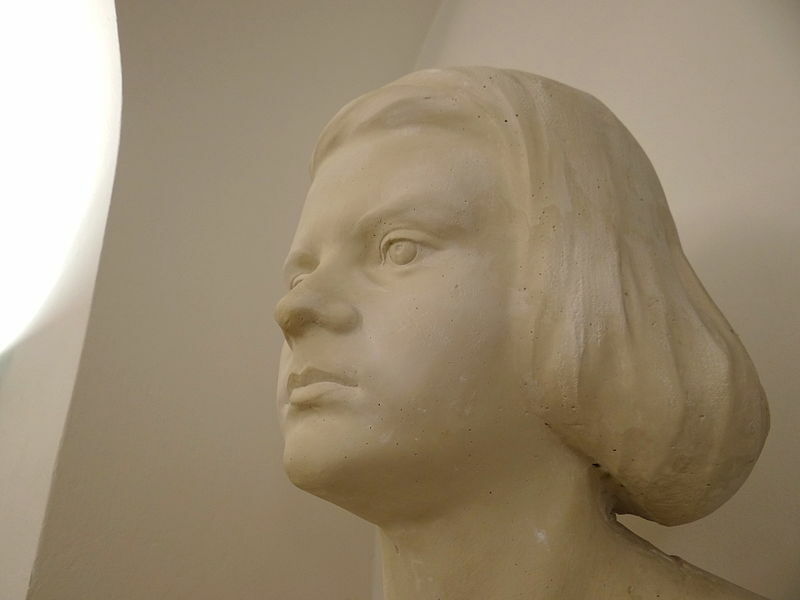 The iconic and heroic figure of Sophie Scholl still speaks to those of us who espouse non-violence in the modern age. Scholl, who was a member of the White Rose resistance movement in Nazi Germany, paid for her activism with her life. Her implacable opposition to the nihilistic ideals of the Nazi party led to the guillotine, a fate she met with dignity. The White Rose was comprised of University of Munich students and a member of the philosophy faculty there. The group’s modus operandi centred round an anti-Nazi leafleting and graffiti writing campaign, which began in June 1942 and finished just under a year later. Six of the most prominent members of the group, including Sophie and her brother Hans, were arrested by the Gestapo, tried for treason by a Nazi court, found guilty and beheaded shortly thereafter. I’m still so remote from God that I don’t even sense his presence when I pray. (As quoted in At the Heart of the White Rose: Letters and Diaries of Hans and Sophie Scholl). I know that life is a doorway to eternity, and yet my heart so often gets lost in petty anxieties. It forgets the great way home that lies before it. (As quoted in Sophie Scholl: The Real Story of the Woman who Defied Hitler). One of my favourite Scholl quotes, which is disputed, but insightful regardless of its provenance, is as follows: ‘The real damage is done by those millions who want to “survive.” The honest men who just want to be left in peace. Those who don’t want their little lives disturbed by anything bigger than themselves. Those with no sides and no causes’. Thank-you! Dietrich Bonhoeffer must have been inspired by her as well. I certainly am.